I was hungry for pizza the other night but I’m not a big take-out pizza person. I love take-out pizza, but I never order it unless I have someone else to eat it with me. Otherwise, I’ll end up eating the whole greasy, cheesy, decadent pie and I don’t have enough willpower to not do that. 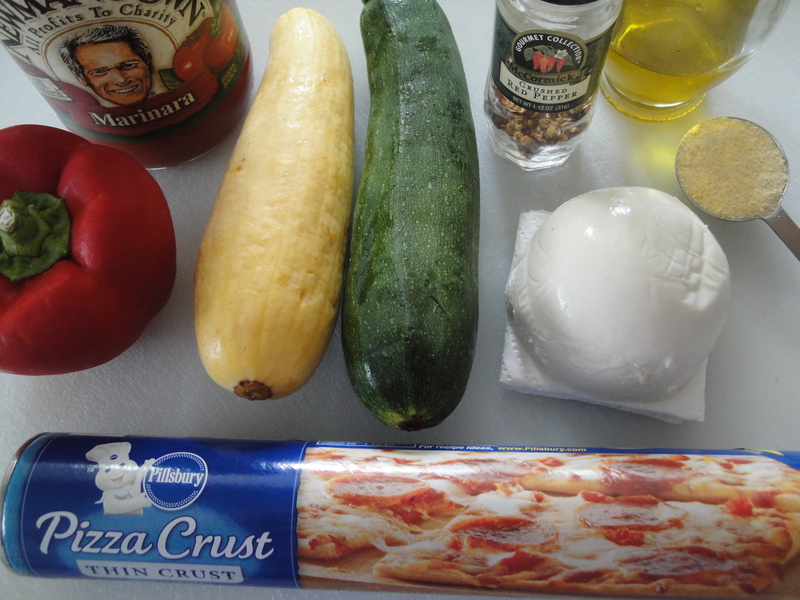 So, since I’m on a bit of a veggie kick this week, I decided to make one of the many pizza recipes that I’ve collected. 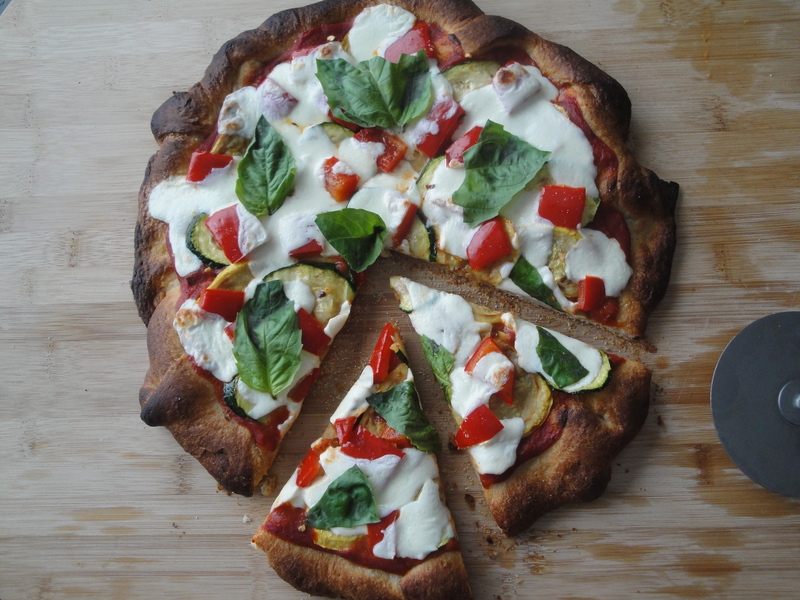 This Summer Grilled Vegetable Pizza is a perfectly light pizza that uses up the last of the zucchini and squash in my fridge. Zucchini, summer squash and red pepper are grilled until soft and browned and placed over a store-bought pizza crust layered with marinara sauce. 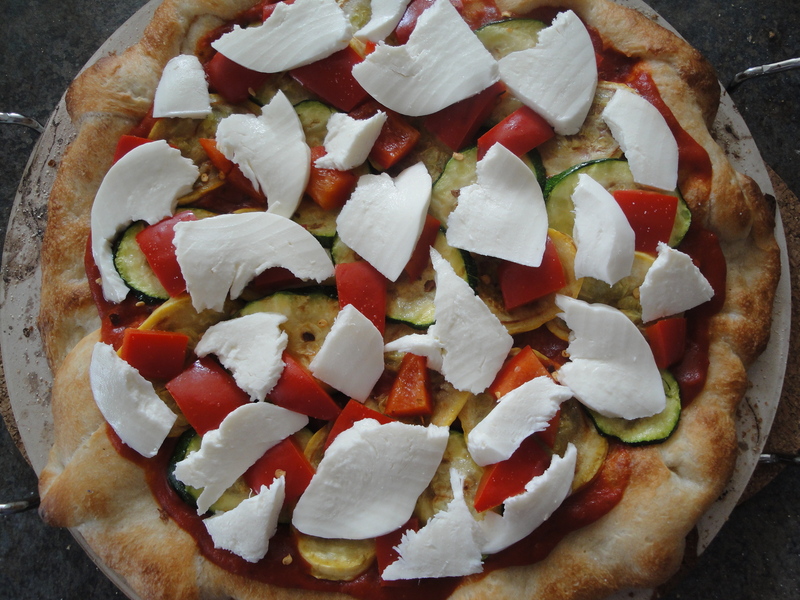 Fresh mozzarella cheese and red pepper flake are a dotted over the veggies before the whole pie is baked on a pizza stone until golden brown (or slightly darker brown, in my case). Don’t have a pizza stone? Just use a pizza pan or cookie sheet. The veggies are crisp-tender while the mozzarella cheese is salty and creamy and the red pepper flake adds a punch of heat here and there. Use your favorite marinara, pasta sauce, pizza sauce, or fresh tomatoes as your base here. Play with any veggies you like to get a lesser-fat pizza that won’t leave you feeling too guilty. You won’t even miss the fact that it’s not take-out pizza. 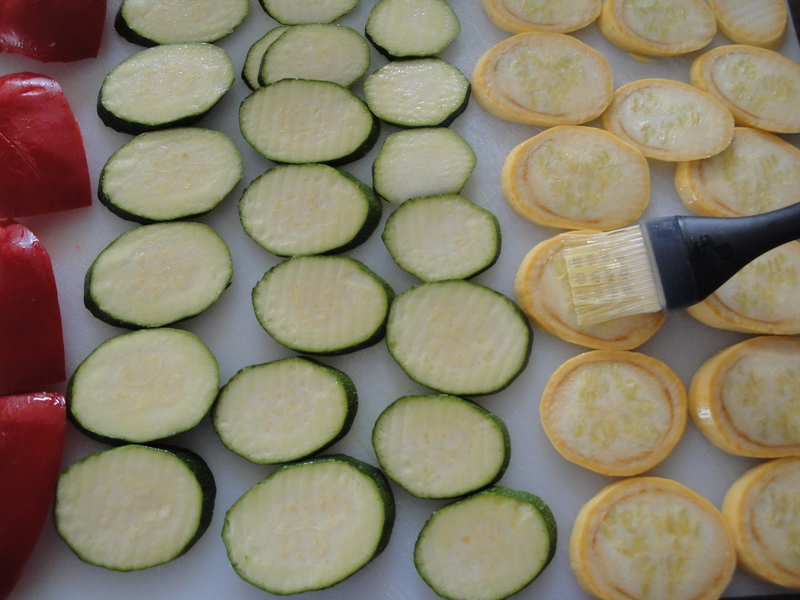 Arrange all the vegetables in a single layer on a large cutting board or baking sheet and brush both sides with olive oil. 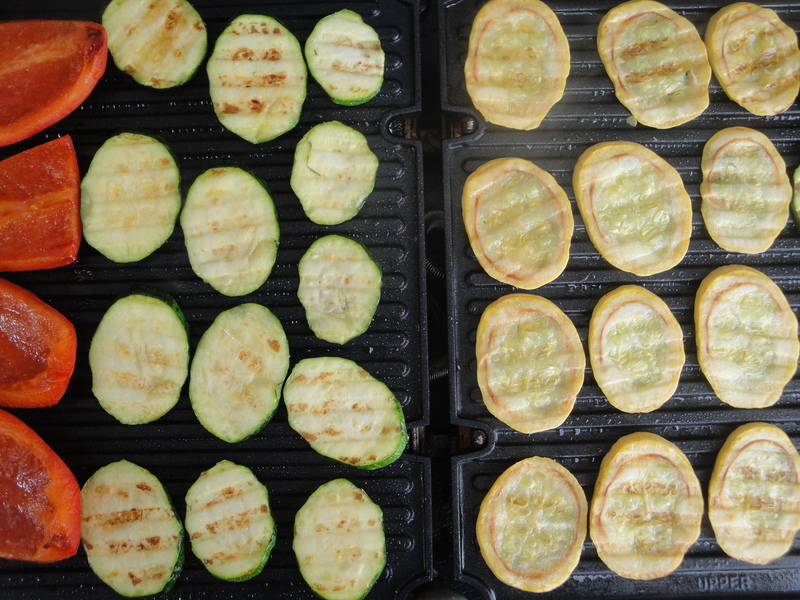 Arrange vegetables on a grill rack preheated to medium-high heat and coated with cooking spray. Grill for 3 minutes on each side or until crisp-tender and grill marks appear. Remove from grill. Coarsely chop bell pepper. Sprinkle cornmeal over a pizza stone which has been preheated in a 500°F oven. Carefully place dough on pizza stone and bake for 5 minutes. 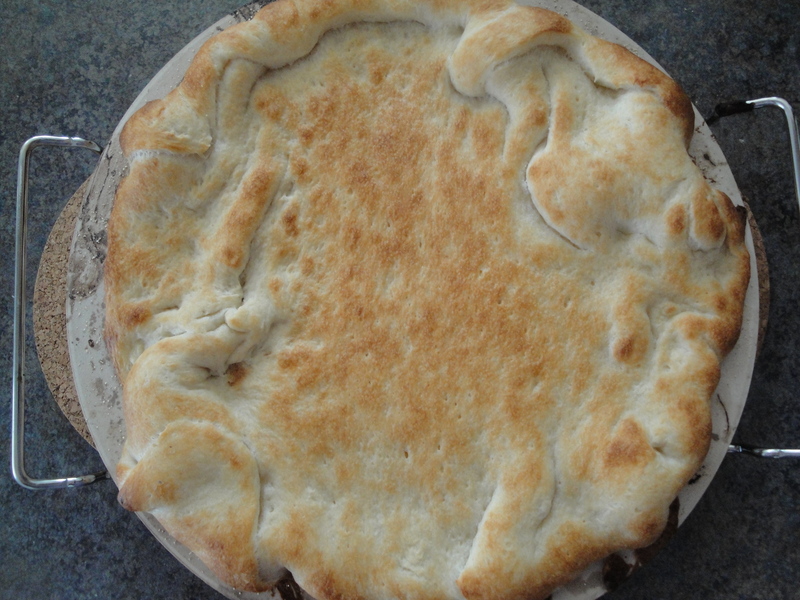 Remove the partially baked crust from oven. Spread sauce over crust, leaving a 1/2-inch border. 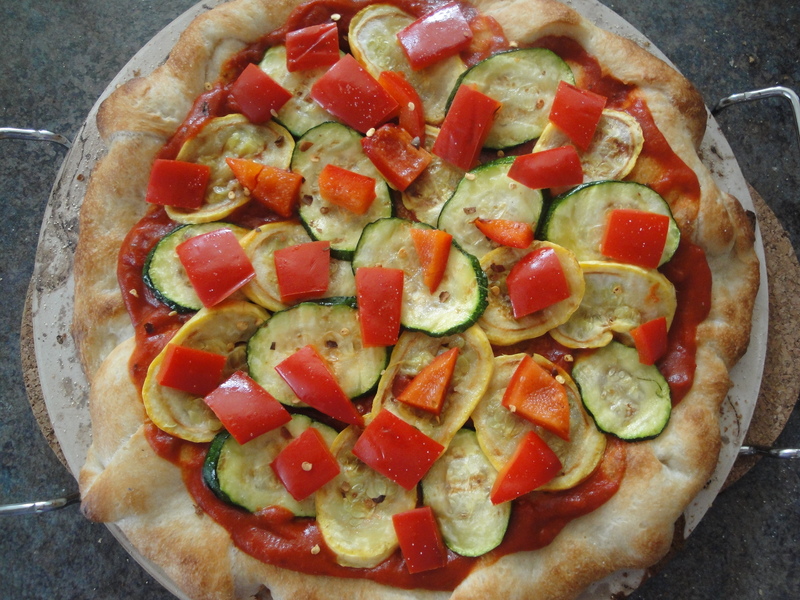 Arrange the vegetables over dough, and sprinkle evenly with salt and crushed red pepper. Top evenly with cheese. Bake at 500°F for an additional 12 minutes or until the crust and cheese are browned. Cut into 6 slices and top with fresh basil (if desired). This looks amazing, I like your technique of cooking the crust almost completely and then putting the precooked ingredients on for the melting of the cheese (you have more control over each ingredient that way.. Gorgeous pics, i may just have to get a pizza crust this weekend and put my fresh peppers to some use! 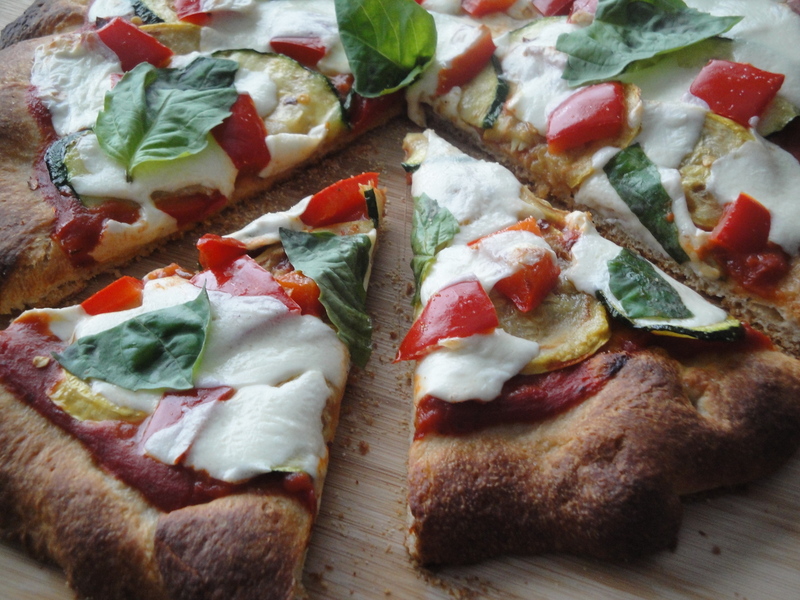 Pingback: Recipe: Roasted Tomatillo Pizza « PEPPERMEISTER!